As we kick off 2019, businesses across every sector will be wondering what their immediate future holds. While some markets will be looking forward with optimism, others will have a tough 12 months ahead due to greater competition. PC gaming certainly falls into the former category. 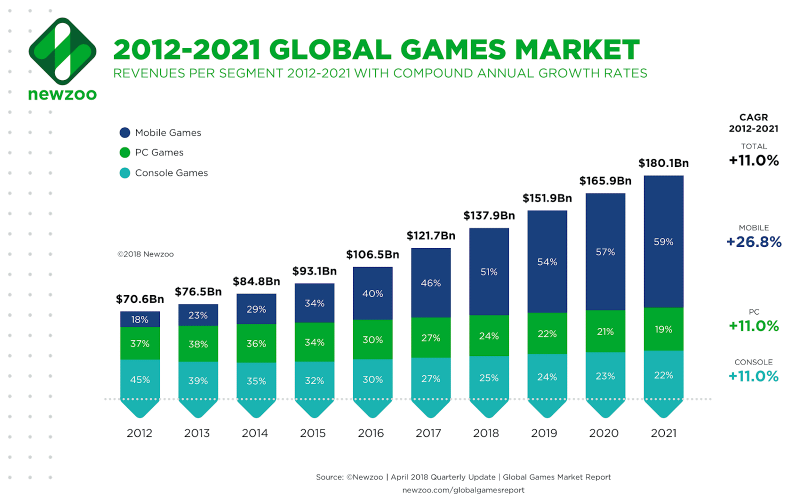 Sure, PC games are more playable, involving and engaging than ever – thanks to huge strides forward in digital technology and the growth of MMORG and MMO gaming – but mobile games now bring in more revenue than PC and console gaming combined. Will this year see a decline in PC gaming – or will it continue to be just as relevant to today’s gamers as it always has been? Let’s take a look at the past, present and future of PC gaming as we attempt to answer that question. Gaming historians and players of a certain age will have fond recollections of Pong – a basic video game which emulated tennis in a very primitive sense. Versions of this classic can still be accessed today but the history of video games predates this title by some margin. It’s widely acknowledged that the first ever video game was Bertie the Brain. Constructed on a huge machine measuring some four metres tall, Bertie was built in 1950 and was put on display at the Canadian National Exhibition of the same year. Video then gave way to computing and in 1962, Spacewar became the first game to be sited on a computer. Following on from Pong, the 1980s were a boom year for the industry and this is where many iconic titles saw their genesis. Space Invaders was popular in its own right and could legitimately be seen as a successor to Spacewar while other great games such as Adventure and Myst came along. By the time that the internet became accessible to the general public in the 1990s, the PC gaming industry was already in position to take full advantage. Technology was already in place for the sector to move seamlessly in and enable their titles to be played both on and offline. Those without dial up connections were still able to load a CD and commence play but the ability to carry out online downloads of popular games led to a boom period for the industry. As such, this created an era rife with innovative titles that altered the course of gaming history. Command & Conquer, Doom, Fallout… the list goes on. While console gaming was also taking off during the 1990s, PC gaming was well and truly where it was at. That boom continued for some time before any competing platforms were able to catch up and offer genuine alternatives. From the birth of the internet to the mid-2000s, mobile devices remained very primitive. For most users, the ability to text as opposed to make a conventional phone call was seen as a revolution. Add in some very basic games such as Snake and suddenly, mobile was a gaming platform. It started to be taken more seriously after the launch of the iPhone in 2007. This revolutionary device gave users access to everything from their online banking to entire collection of music, at their fingertips. Crucially, it was the world’s first motion-sensitive video games device – and it was here to stay. As mobile use has increased in the intervening decade – with 5 billion people now owning devices – so has mobile gaming. Fast forward to the present day and the situation is very different: Sophisticated mobile devices with increasing memory can host most games that were previously exclusive to the PC while the ongoing development of dedicated gaming consoles continues to provide their own threats. On average people spend over 10% of their time on mobile devices playing games. As such, the mobile gaming sector is bringing in $70 billion dollars – making it the dominant force in gaming. With the gaming market polarised around the different platforms available, games developers have understandably sought to diversify their offerings to appeal to both camps. For example, online casino games are available on both PC and mobile platforms. Games such as roulette, poker, blackjack are available through online casinos, which are more engaging and immersive than ever, thanks to improvements in digital technology, higher broadband speeds and better graphics. For some, they even compete with leading titles such as Red Dead Redemption. You’ll see what we mean by heading to this reputable operator and playing any of its high-quality casino games. While mobile casino players find it handy to play their favourite games on the move, PC casino gamers are bringing the experience of a real casino into their living room – or wherever their computer is assembled. Due to the fact PCs are often fitted with much faster processors and greater power than mobile devices, players will likely play casino games on a PC if they’re more interested in getting the fastest and most immersive gaming experience. The sheer popularity of PC games might make you feel like the future is pretty gloomy for PC gaming. However, the platform remains more than relevant. A report produced in 2017 claimed that while much of the PC market was struggling against mobile competition, PC gaming was, in fact, thriving against the odds. PCs in general suffered a sixth consecutive annual decline in figures, but PC gaming was the one shining star amongst the gloom. There are over 1.2 billion PC gamers worldwide, and sales in 2018 were predicted to hit $13 billion. So while the figures may suggest mobile rules the roost in gaming, PC gaming remains significant. Plus, the huge success of Fortnite Battle Royale has taken the gaming world by storm – with an estimated 125 million gamers around the world hooked, tuning in on Twitch to watch the world’s best gamers in action. 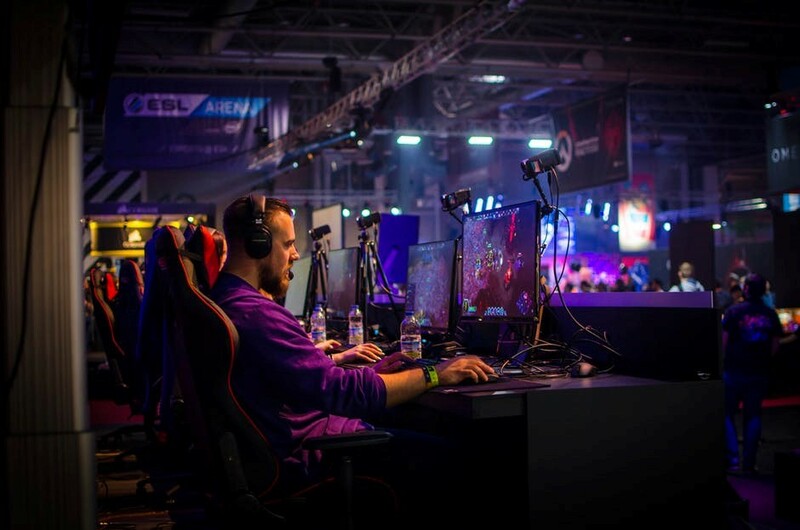 PC gaming will continue to face challenges as mobile gaming develops and, potentially, any relaxing in rules relating to console purchase could affect their sales in certain parts of the world. However, as we’ve seen, it can always expect to have a loyal following. While it may be a generalisation, it could be fair to say that the casual gamer will opt for mobile play using the flexibility that on the go gaming offers. After all, it’s simply not an option to carry a PC, or even a laptop onto a train and play a few rounds of roulette or Angry Birds before arriving at work. At the other end of the scale are serious gamers who crave the best gaming experience – and these people tend to prefer PC gaming. As long as there remains a big gulf in graphics, speed and power between PC and mobile games, this will continue to remain the case. So while PC gaming will undoubtedly need to face up to this challenge ahead, it has reasons to be confident and positive.